Siena Soap Company: The Safe Cosmetic Act - Is it Okay to Oppose It? The Safe Cosmetic Act - Is it Okay to Oppose It? HR 5786 – The Safe Cosmetic Act – Is it Okay to Oppose It? On July 20, 2010, HR 5786 was introduced to Congress, “To amend title VI of the Federal Food, Drug, and Cosmetic Act to ensure the safe use of cosmetics, and for other purposes. I would be the first in line to support well written legislation that would guarantee safety in skin care products. 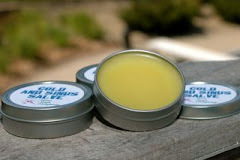 In fact, the chief motivating factor for me to began handcrafting personal care products for my own family was really the issue of the “junk” contained in so many of the commercially produced products. My kid’s skin did not always react so favorably to big name products. That began my quest for healthier and safer alternatives. 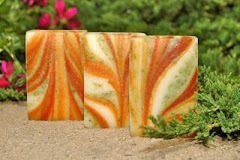 Siena Soap Company was born seeking this one honorable quest… pure, natural, healthy skin care. Of course it is a continuing travesty that known toxins and carcinogens are allowed in everyday products used by babies, children, and even adults. I have been on my soapbox for some time telling of the drying, harsh effects of the commercially manufactured detergents with known toxins marketed as everyday soap, and of the unsafe chemicals in common skin care products. Something has to be done. The authors of this bill see the problem. I appreciate the intent of this bill. Undoubtedly, reforming our current cosmetic industry is a necessary and noble endeavor. This bill – HR 5786, though, is not the answer. Here’s why! 1) HR 5786 is being categorized as a “pink slip” for the hundreds of thousands of home-based or small independent soap making and cosmetic companies in our country. Unfortunately, if passed, this bill will make no distinction between the small all natural skin care businesses that are already manufacturing safe, natural product and the large synthetic beauty manufacturers. The bill will require extreme documentation of sales, vendor purchases, changes in product formulation, and company activities. The freedom to better a recipe, experiment with new products, change up a product line or suppliers will result in a paper chase of getting Big Brother’s okay. How will these home based businesses handle the additional time spent laboring over all this documentation? How will the government police all these new requirements? Obviously, it will create more red tape, more bureaucracy, and more taxpayer money spent for additional cosmetic “police.” Lumping all natural small businesses with large corporate manufacturers in cosmetic policing makes no sense. Small businesses are suffering enough in this failing economy. This will be the final assault for many. 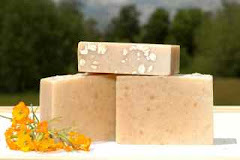 2) It is important to remember that most of these small all-natural soap making and cosmetic companies are woman owned. Many of these small businesses are able to provide jobs for a modest amount of workers. We are the backbone of the American economy and the American entrepreneurial spirit of this great country. We are not asking for bailouts. We just want to continue to provide for the needs of our customers with products that are safe, inexpensive, and useful. 3) Ingredient lists will be mandated where each company will be required to disclose each and every detectable trace chemical in each product marketed. Foods in this country do not require knowing which molecule exist in the parts per million range! 4) This ingredients listing requirement will require expensive testing of each product marketed to secure every detectable molecule in it. Small business cannot afford this. And who will pay for this? The consumer, of course! 5) HR 5786 also includes a Savings Clause that will allow states or cities to enact legislation that is more specific or severe that this proposed federal law. I am presently able to do business in any of the 50 states. If new and different laws are enacted in states and municipalities it will make it a nightmare to do business outside my own state for fear of violating another state’s cosmetic laws. 6) “The Story of Cosmetics” a cartoon video released on YouTube and sponsored by The Campaign for Safe Cosmetics, says it represents the cosmetic industry. I started to follow the Campaign for Safe Cosmetics several months ago and the work of their sister, EWG (Environmental Working Group). Their idea of a safe US cosmetic industry caught my eye. I really believed that they would represent our best interests. Now I believe they do not understand the small all natural business industry at all nor do they represent our wishes or us. Their video using skulls and bones and various scare tactics scare the consumer into thinking even our natural products may not be safe. Also their studies do not tell the whole truth as outlined by R. Tisserand in Tunnel Vision. I know it is hard to oppose a bill called The Safe Cosmetic Act – it just sounds bad. But research the facts. Educate yourself. Then contact your congressmen. I know that I have been long winded. Thank you for wading through all of this. I believe it really is okay to oppose the Safe Cosmetics Act. It surely doesn’t mean we are against safe cosmetics. What we are opposing is a poorly written desperately overreaching piece of legislation. If passed, HR5786 will surely kill entrepreneurial small cottage industry in this country while continuing to make government bigger and more powerful.